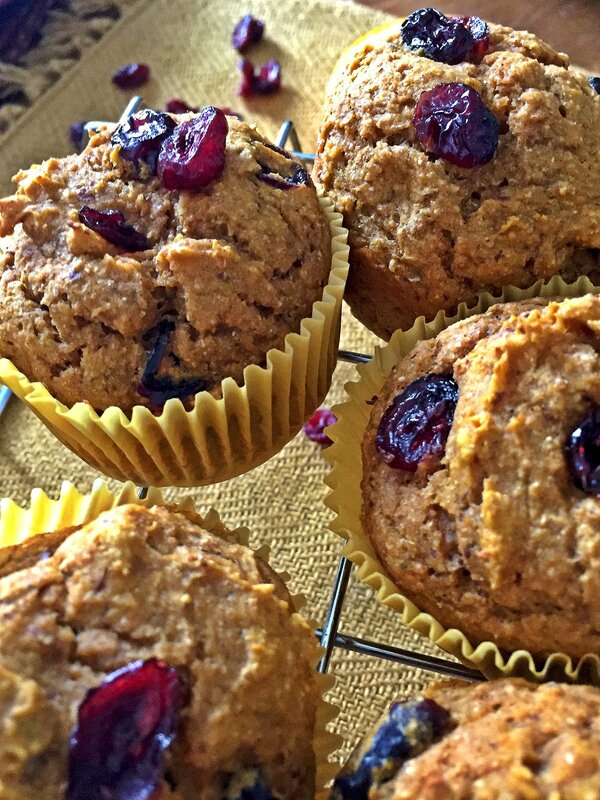 These muffins are the perfect indulgence for your sweet breakfast craving and are a good source of complex carbohydrates. Serve them with some eggs or lean turkey sausage for added protein and fat to make a balanced meal. Preheat oven to 350ºF. Grease a 12-cup muffin tin liberally with cooking spray. Combine ground flaxseed and water in a small bowl and let sit for 5 minutes. Add yogurt, pumpkin puree, oil, orange juice and zest, and vanilla extract to a large bowl and stir. Add both flours, baking soda, baking powder, brown sugar, pumpkin spice, cinnamon, and salt to a medium bowl and stir. Add dry ingredients to wet ingredients and mix until fully combined. Stir in dried cranberries. Fill each muffin cavity about 2/3 of the way full. Bake for 16 minutes or until a toothpick inserted in the center of the muffins comes out clean.